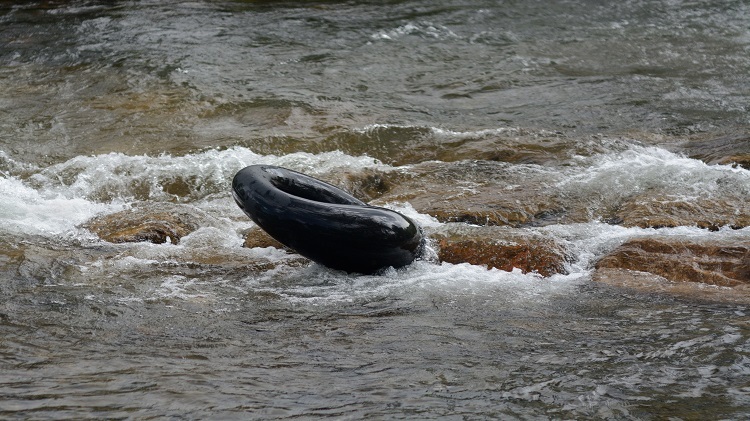 Date: Aug 18 2018, 9 a.m. - 2:30 p.m.
Come out for a fun day of river tubing and enjoy an experience that you can’t get in any other U.S. city! The James River is a combination of calm, relaxing waters and Class I and II whitewater rapids. · All participants must have shoes on their feet that will not come off in order to protect your feet from glass in the river and the walk that you will be making to the river. · NO Styrofoam coolers. Plastic coolers, no longer than 24 inches, are permitted. alcohol are prohibited in the James River Park System. *Minimum age 12, and all participants must be 50+ pounds. Cost includes travel, lunch, bottled water during the adventure and lots of fun memories. Register for this fun adventure by August 8 at Outdoor Recreation or by calling (804)633-8244.